Is Chinese Style Fried Chicken a well kept secret? What’s in a secret that has to be hidden? I believe that there is no knowledge under the sun that’s secretive. Someone knows about it, and so it’s not really a secret it’s just uncommon knowledge that’s hidden by a select few. Some do it for business purposes, like our famous bitters…or like the most famous fried chicken restaurant. Others just find the information too sensitive for the masses….or too dangerous for the uninformed masses to use against them lol!!. 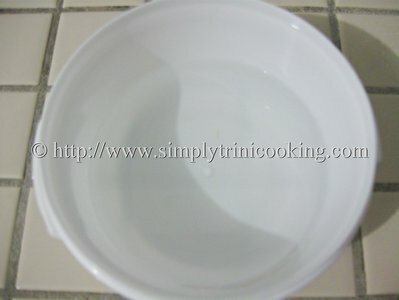 But as I said before there is no secret……For years I thought that I would never ever be able to cook like some of those cooks in the fancy Chinese restaurants, but that is slowly changing. As I hone my skills and immerse myself in my culture, or should I say we culture, I’m learning more and more and discovering a bit as I go along this journey. Chinese restaurants are all over the place in Trinidad and Tobago. And every Chinese restaurant would sell their variation of a “No. 1” (a code for, rice, chow mein and fried chicken). It was a favourite of mine, since it was cheap and very filling. The fried chicken was what enticed me the most. The chicken was well done, fried right down to the bone, and some how the seasonings permeated through the whole chicken. I was always in awe. How was it done? Well, lately I found out and surprisingly was able to replicate the Chinese style fried chicken, but with less saltiness; since I used a Chinese seasoning without MSG. I got the thumbs up from my family, so I think I got it right. Here’s Chinese Style Fried Chicken. 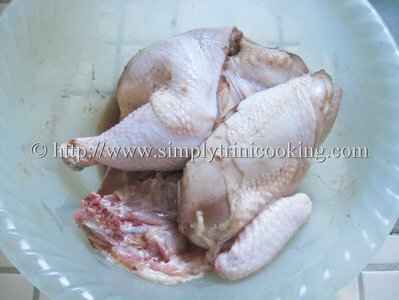 Clean chicken removing excess fat, wash with lime and cut into quarters. Season with 1 tbsp of Chinese Seasoning. 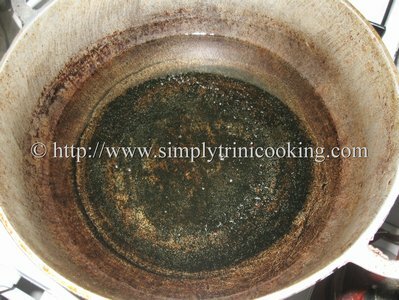 Note: I know some of you may be saying but that is all it take 1 tbsp of the seasoning. As you would notice I used a Chinese Seasoning without MSG. Thinking about my readers lol!! 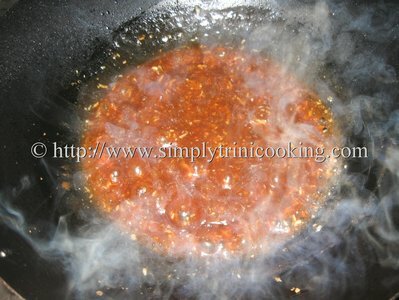 While the oil is heating up, sprinkle 1/2 tbsp of 5 spice powder and rub it in. Fry until golden and well cooked. Drain. Note: I cooked my chicken over a low fire for about 25 minutes and it was cooked right down to the bone. 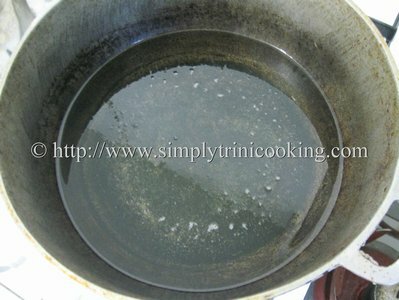 Mix the water, oyster sauce, ketchup and cornstarch. Note: Ok! so here’s where we can do a bit of variation on the sauce. 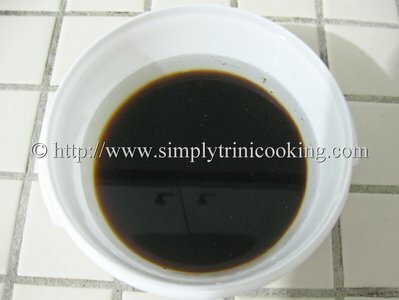 Instead of the oyster sauce you can use garlic sauce, hoisin sauce, plum sauce, black bean sauce or any other sauce of your choice. There’s a world of variations out there. 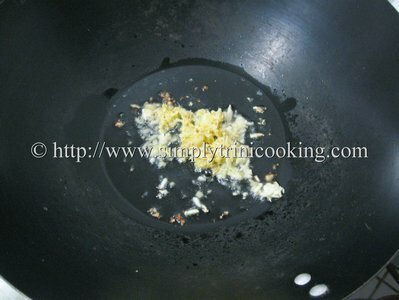 Saute the ginger and garlic for 1 minute. Then add the mixture and let cook for about 2 minutes over a low fire. place chicken. Pour some of the sauce over chicken and garnish with chopped chive. So we have Rice, Chow Mein and Chicken (this recipe) and if you want, you can make a side order of Shrimp Wontons. A little more again someone will surely say you went byFei Wong in Long Circular or Fai’s in Tunapuna lol!! 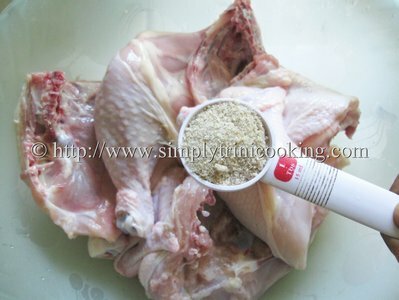 If you liked my Chinese style fried chicken, please leave your comments. i love the receipe, my wait is finally over thanks a million! I you can’t get that brand you can use another that has five spice powder and no msg. Oh gosh how I love, love, love all Chinese food and the fried chicken! My brother, why do you torture me so?! Ok, this is definitely on the menu for this weekend and I am making Fried Rice to go along with it. 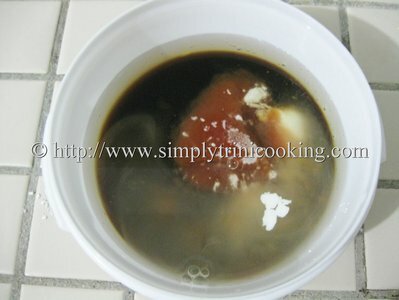 For my recipe I used sunflower oil. Thanks for showing me this, I’ll be trying this on the weekend! P.S Your RSS feed is now on TriniNation.com since it provides quality stuff! Thank you! Felix, can you tell me where you purchased the sincere brand of chinese seasoning? Abby I bought mine at a little chinese store at Long Circular Mall. They’re located on the ground floor in the corridor past the food court. 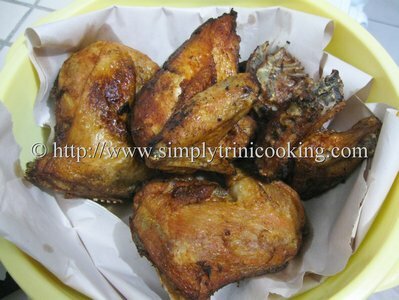 are you doing any recipes for wings, a friend is looked on your site and found none. Is there a substitute for the oyster sauce, I can’t eat shellfish. Thx!! Do you have recipe for roast pork pow? Do you know where I can find the Chinese Seasoning in New jersey? I cannot thank you enough for this recipe. Really looking forward more. First of all, keep up the GREAT job that you are doing! I tried making Chinese Style Fried Chicken before, but it was always a bit salty. I tried your recipe and I have only two words. Simple! Delicious! I look forward to more of your recipes, especially Char Siu Pork ;). Again, keep up the good job! 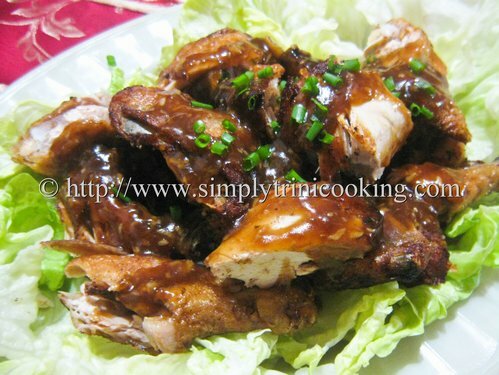 I tried this recipe and it was so good I knew I could have given any Chinese food restaurant ah run fuh dey money. Thanks Felix! Nice job with the chicken. I do want to mention though that I’ve worked in Chinese restaurants before and they don’t usually fry the chicken, they rub in the seasoning, just like you did, and roast it. They only fry it when the customer requests it. 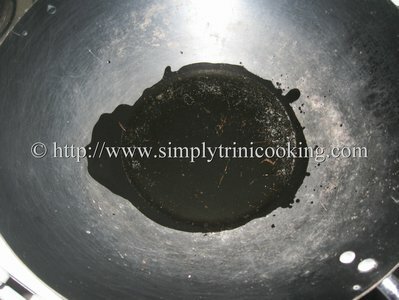 If you roast it instead of fry it, you’ll get the same results but without the excess oil, and it tastes just as good. Hi, Looks delicious! 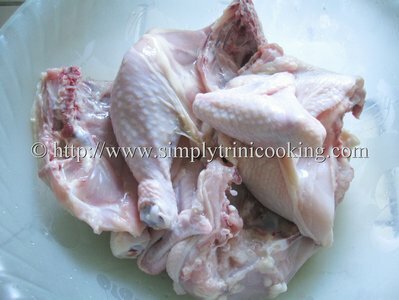 I was wondering if you can use boneless chicken breast for this? Thanks!! Sure, why not? You will have to check the cooking times since it’s the meat alone you’re using. i made this today along with stir fry veg and fry rice! my brother and i gobbled it down! so good! thanks STC! 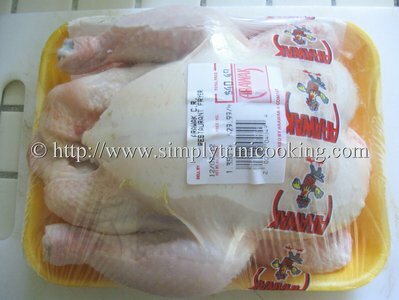 If we do roast it oppose to fry it, what is the required time and temperature for this same recipe? 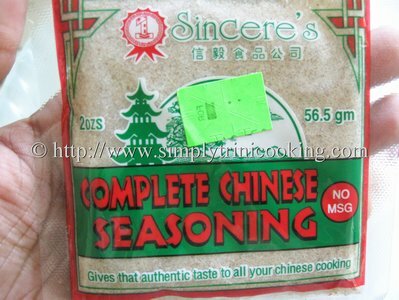 Ano pong difference ng Chinese seasoning sa 5 spice? Di ko kasi makita sa stores ang Chinese seasoning. Salamat. :D.
Hi, I enjoy your posts a lot. I’d like to know where I can find the Sincere brand of seasoning. I’ve looked at a few supermarkets and I haven’t seen that brand. The no msg is a big must at my house. Thanks. Keep up the good work! I usually buy mine either at xtra foods or a Chinese store obliquely opposite Farros Pharmacy at Long Circular Mall. thanks for commenting. Thanks alot! 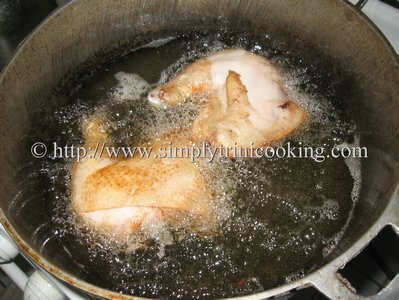 I have been tryin to find the right way to make the chinese chicken for a long time now. It looks really delicious and i hope to see more recipes from you. Yummy!! I would like to know what are some Christmas recipes that you have made.